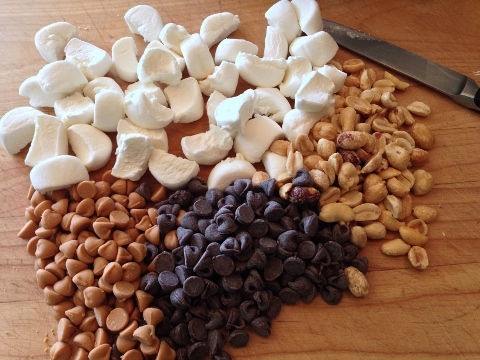 Peanut Butter S'more Bars - Recipe! - Live. Love. Laugh. Food. 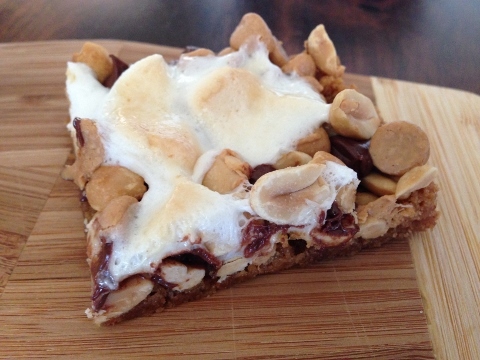 Peanut Butter S’more Bars – Recipe! Summer is winding down and some kids are already back in school. I like to keep summer alive as long as possible and s’mores seem to do the trick. 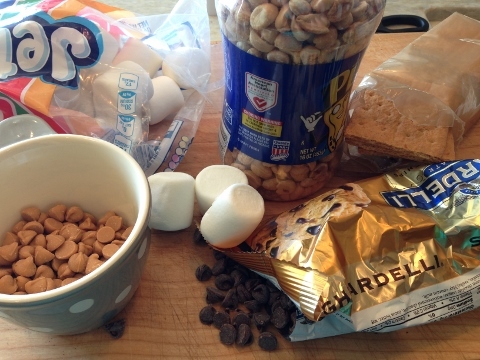 There’s nothing better than a softly toasted marshmallow sandwiched between two crunchy graham crackers with a wedge of chocolate inserted somewhere in the mix. S’mores bring the kid out in most of us and take us back to our favorite campout by the fire. I remember toasting marshmallows to golden perfection and anticipating the warm ooey gooey sensation of this spirited treat. 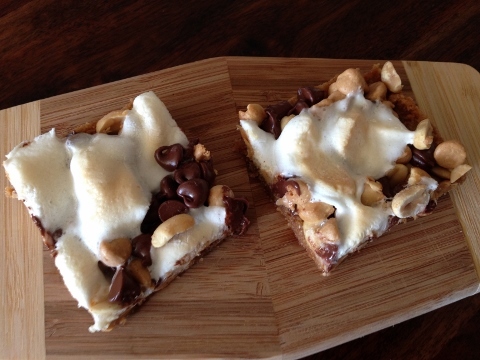 These Peanut Butter S’more Bars do more than keep summer memories alive, they keep us young at heart. The peanut butter adds a friendly touch to an already delicious experience and creates another layer of fantastic yum! You can store the bars for a few days in the refrigerator, but I doubt they’ll last that long. 1. Preheat oven to 350 degrees. 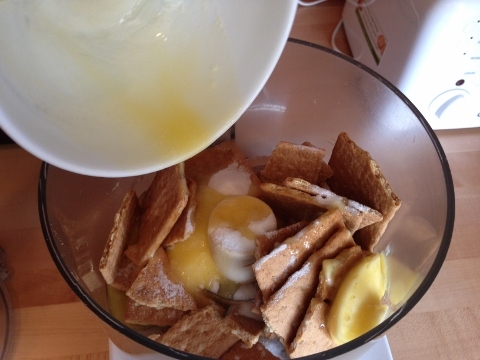 In a food processor, add graham crackers, melted butter and sugar. Pulse mixture until it resembles coarse crumbs. 2. 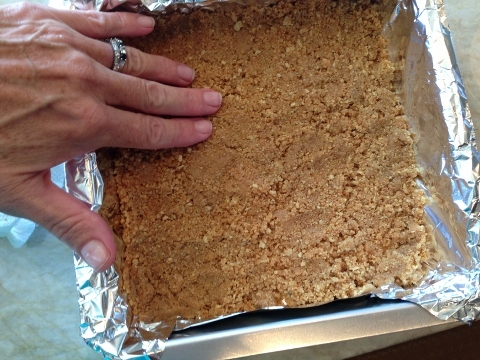 Press graham cracker mixture into a foil lined 8-inch square pan. 3. 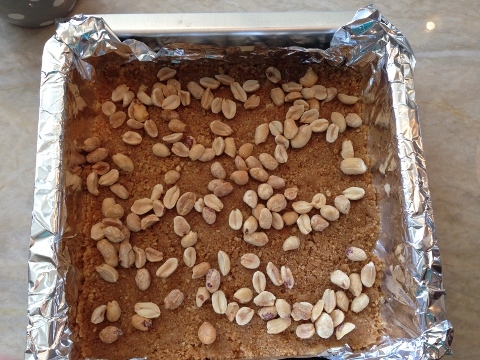 Spread half the peanuts onto graham cracker surface and bake in oven for 10 minutes. 4. 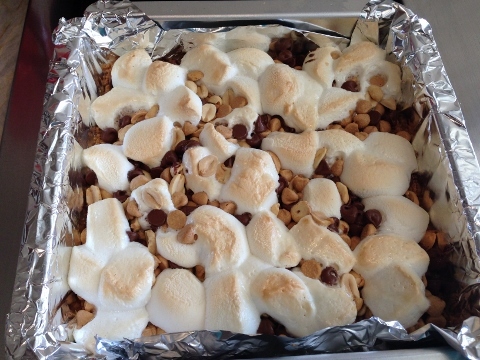 Add quartered marshmallows, peanuts, peanut butter chips and semi sweet chocolate chips to pan. 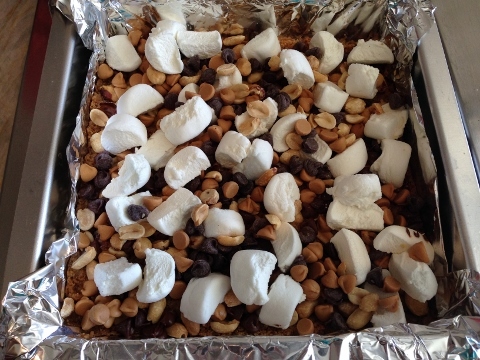 Place bars back in oven to bake for 8-10 minutes, or until marshmallows are lightly golden and puffy. 5. Remove bars from oven and let cool completely in pan. 6. 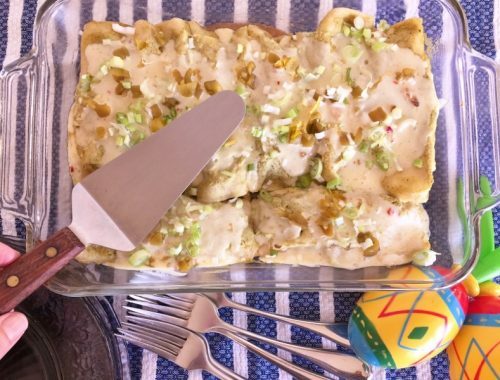 Remove bars from pan and slice. Enjoy! 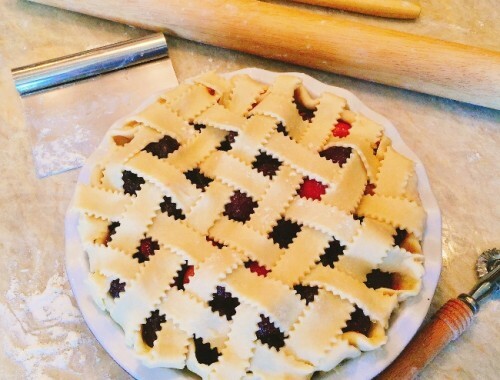 Make Ahead Cherry Pie – Recipe! Great for the Holidays! 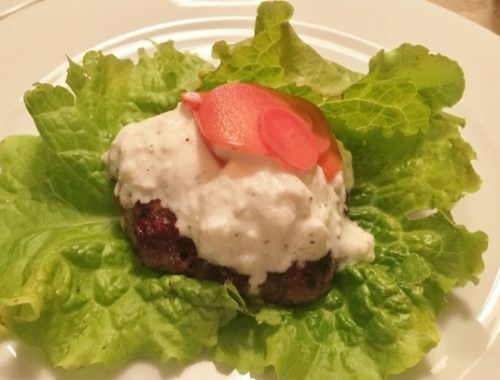 Lamb Burgers with Feta Sauce – Recipe!